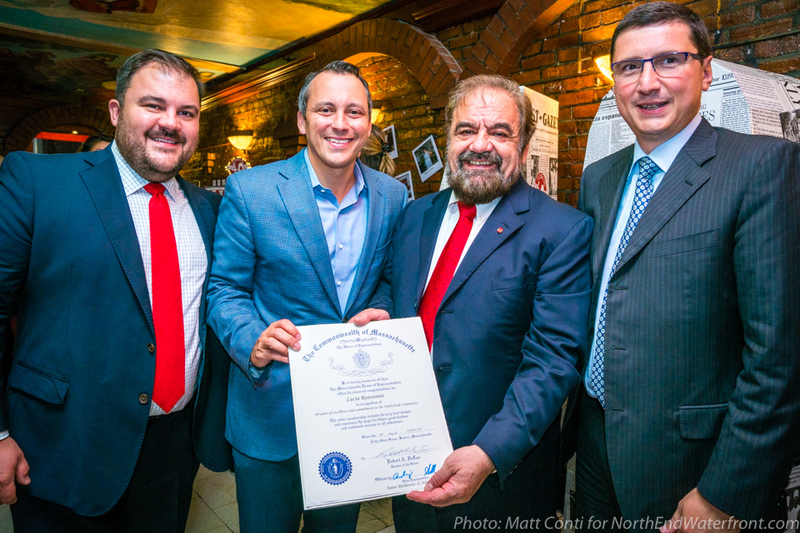 Filippo Frattaroli accepts a State House proclamation from Rep. Aaron Michlewitz with Philip Frattaroli (left) and Consul General of Italy, Nicola De Santis (right). Original 1977 Lucia offerings were served at the anniversary party. 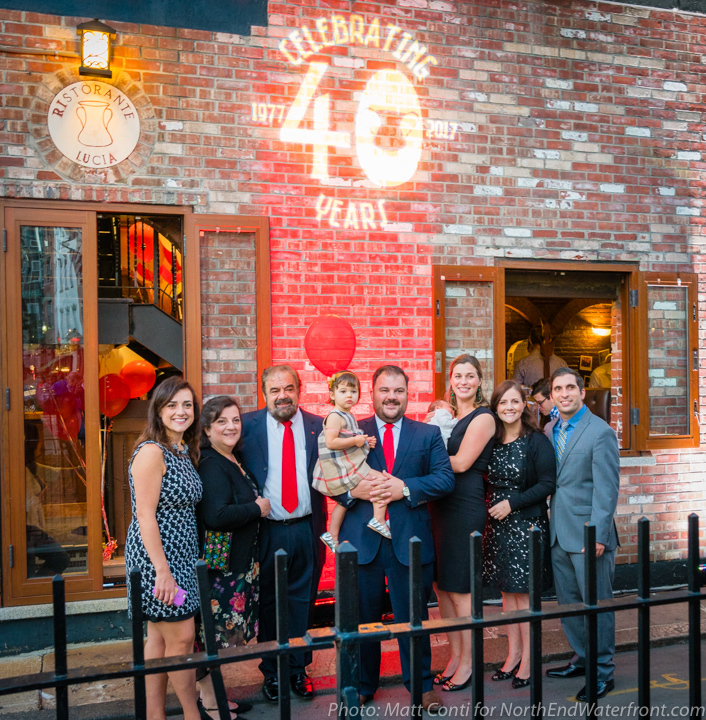 It was an evening of celebration at the landmark Lucia Ristorante on Tuesday night, celebrating 40 years in Boston’s North End. 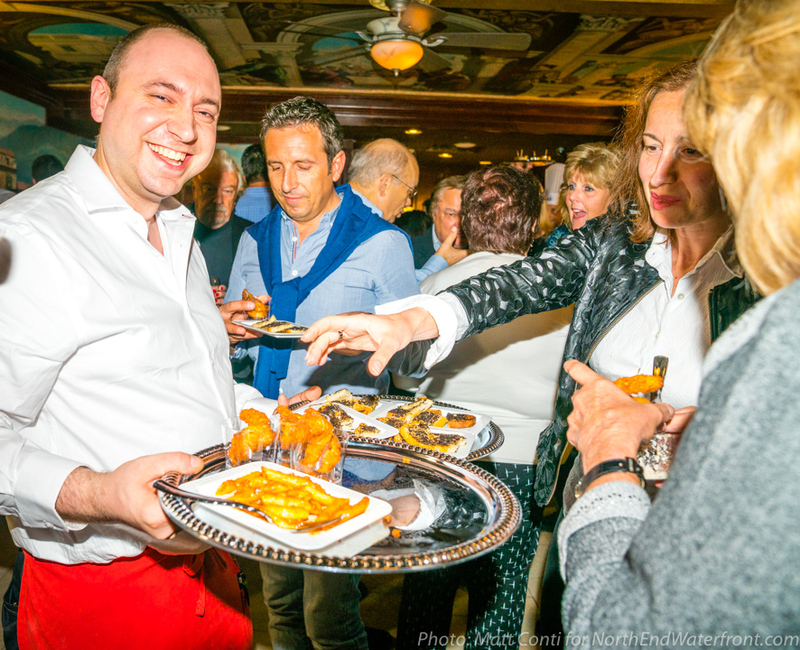 Hosted by Filippo Frattaroli and his family, the affair also raised money for the Red Cross hurricane relief efforts. 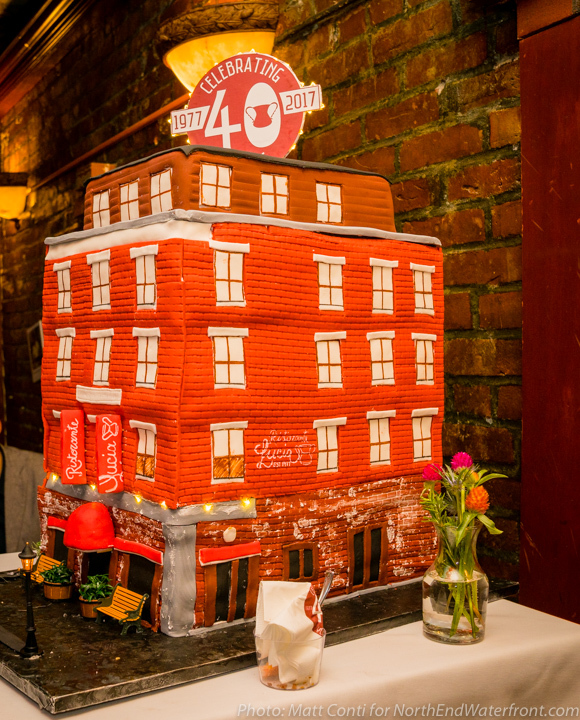 A huge cake replica of the restaurant was the centerpiece for the occasion that brought local officials and dignitaries to mark the 40th anniversary. A special menu was served featuring Lucia’s original dishes. 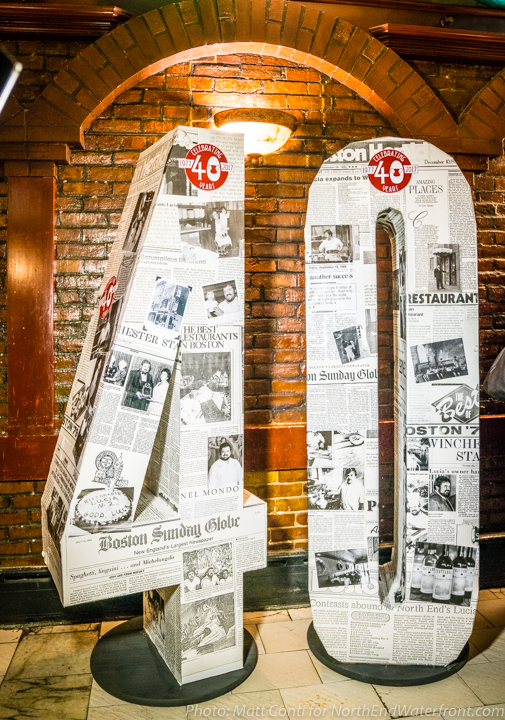 The anniversary menu will be available (at their original prices!) benefiting Red Cross hurricane relief efforts from October 11th to the 18th. Available menu items include: Lasagna alla Mama Lucia for only $5.95, Cotoletta alla Parmigiana for $7.95, and more. 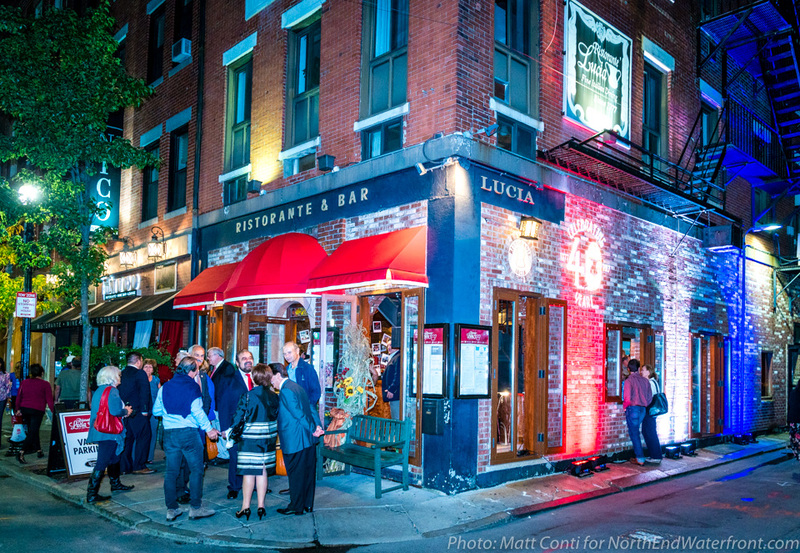 Visit www.luciab.st for more information. 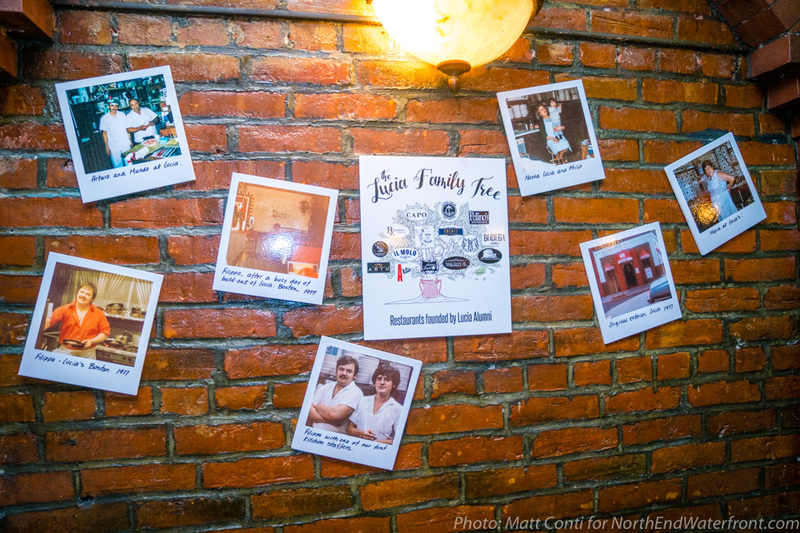 Lucia Ristorante, 415 Hanover St., was opened in 1977, shortly after the Frattaroli Family emigrated to Boston from the Abruzzo region of Italy.